Lake Apoyo can be smooth as glass, particularly during the rainy season. Photo by Claiire and Andy. 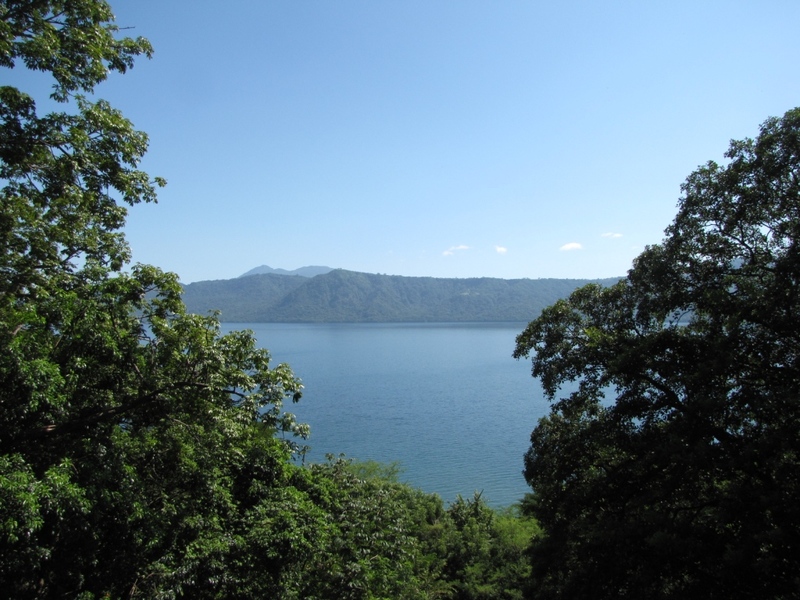 The single most important attribute of Laguna de Apoyo Nature Reserve is water. 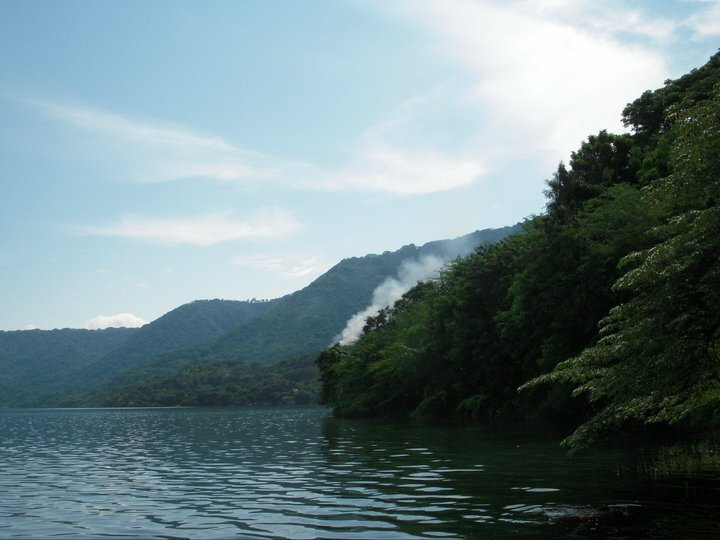 Estacion Biologica would never have been created if not for the aquatic environment of the unique, endemic fishes of Lake Apoyo. Since then, we have learned many other great things about this place, but water is always where we return. If you have never seen Laguna de Apoyo, then you must. 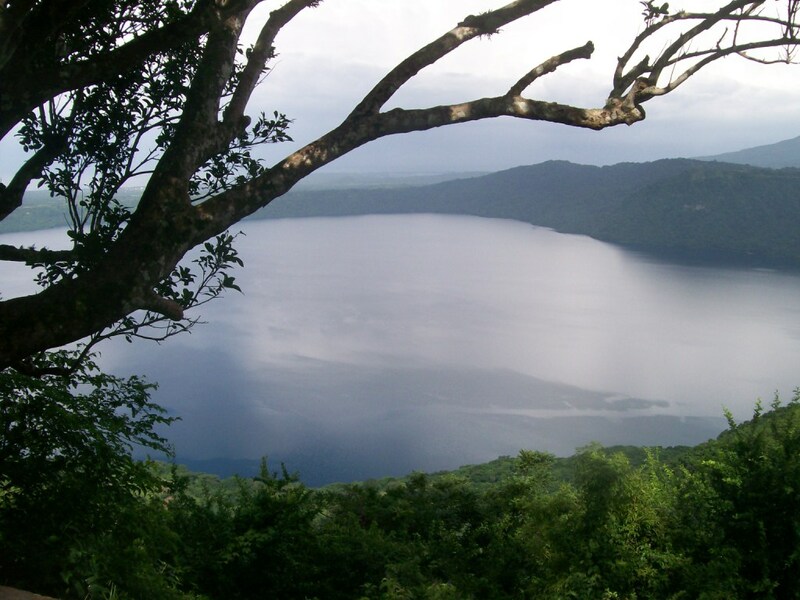 The Laguna de Apoyo Nature Reserve is among the most accessible places for nature tourism in the country. Four kilometers wide and 180 meters deep, blue and clear. Laguna de Apoyo is magic, a special place for the creatures that live in it as well as those who visit it for a day or a lifetime. 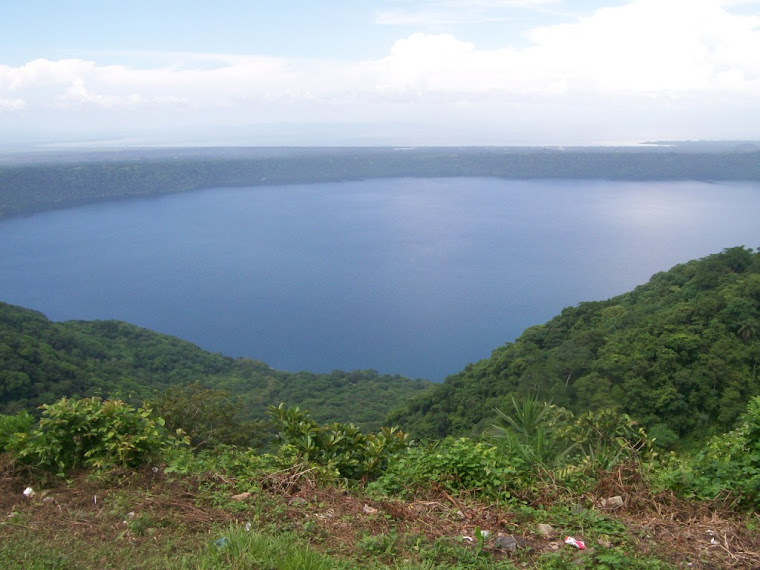 Laguna de Apoyo is located in a volcanic crater. During the rainy season (June through December), the crater interior surrounding the lake is especially green and lush. ﻿﻿It lies on the Ring of Fire, a string of volcanos which circumscribe the Pacific Ocean. Volcanos lies further to its north and south. Volcano Mombacho is peeking above the Apoyo crater edge here. Patches of hues can appear in the lake when observed from above, along the crater rim. ﻿﻿﻿Its depth and width permit large fluctuations in water temperature and surface movement. How clear can it be? Visibility for SCUBA can be 8 meters, always above 5 meters. Some days, you can read the newspaper at your feet. 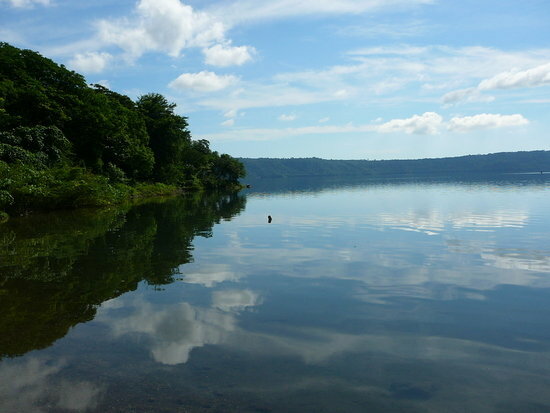 Rumors abound among the locals regarding the Laguna de Apoyo and its magic. Some insist there are mermaids. Under the surface, a celestial blue can be found, which seemingly, goes on forever. In some perspectives, the lake seems infinite. The depths are unreachable, except for Alfonsina. Fish are watching you from a distance, but your presence is not unwelcome. To get a closer look at them, go SCUBA diving! Some people are best seen through water.